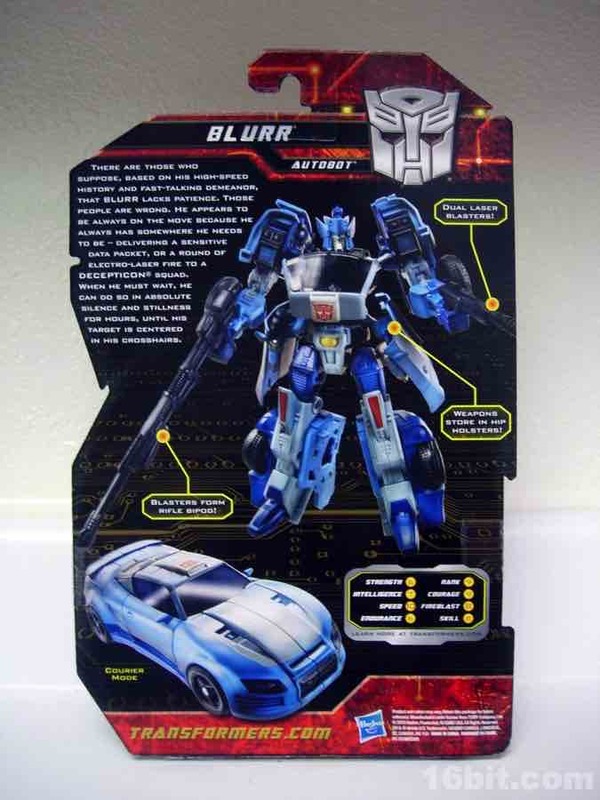 The original Blurr was a fast-moving, fast-driving good guy who bounced from planet to planet, getting himself out of (or in to) trouble. 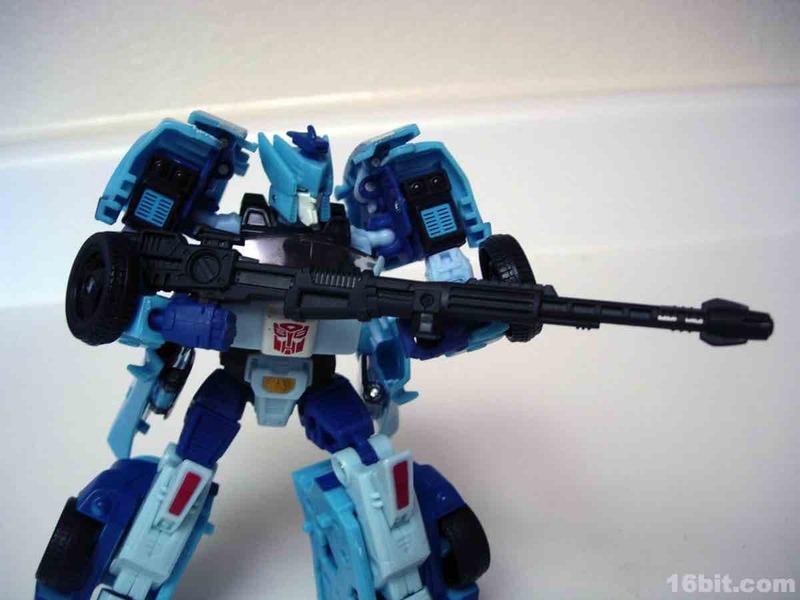 This time around he's been recreated as a sniper, complete with a giant sniper rifle which stores on his back (or under the car). 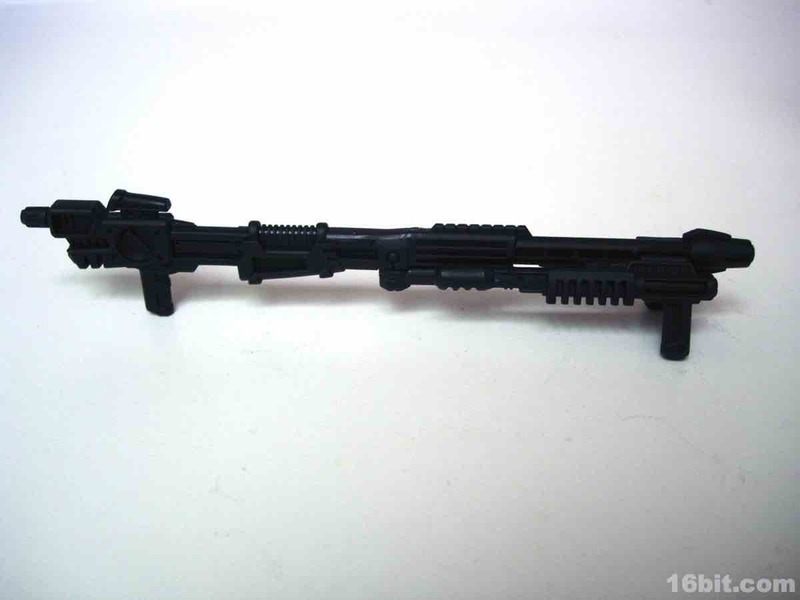 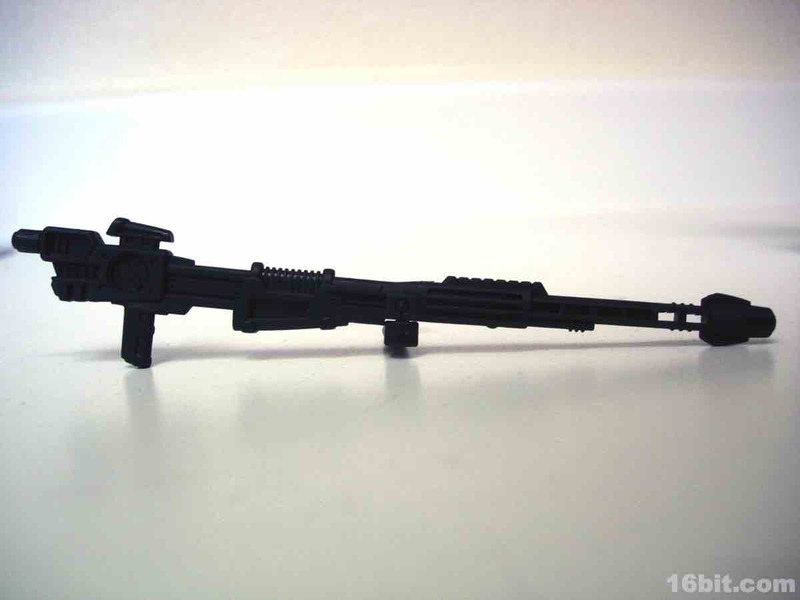 If that wasn't enough, there are two small pistols included which double as a bipod-- they just plug into the sides. 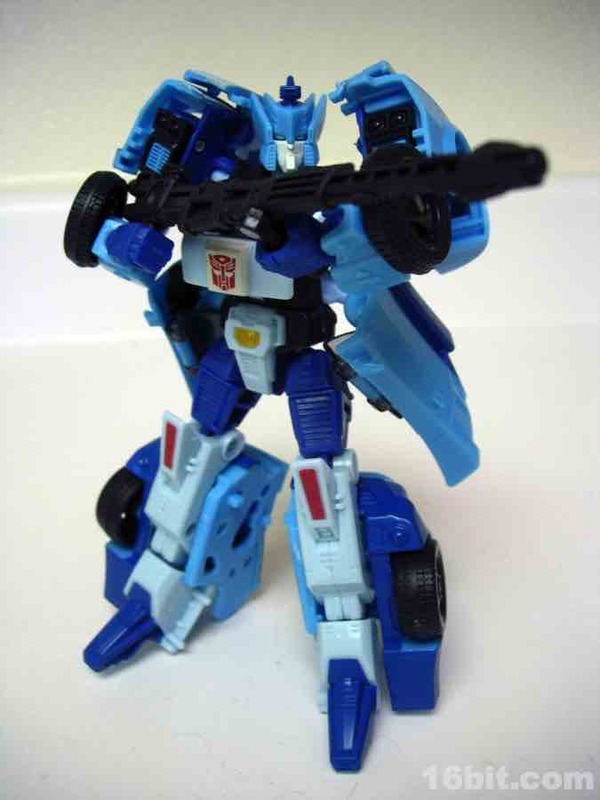 Now, this is a little ridiculous, as one barrel faces the enemy while two of the pistol barrels face right back at Blurr. Still, it looks good if you can ignore that, and is an astonishingly clever way to make the most out of a figure's weapons stash. 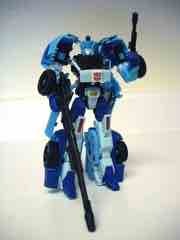 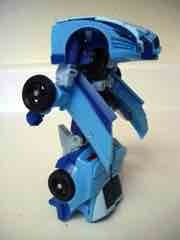 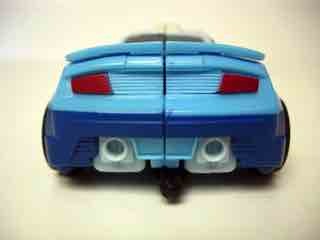 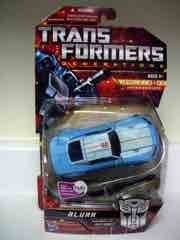 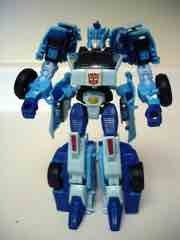 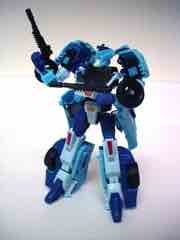 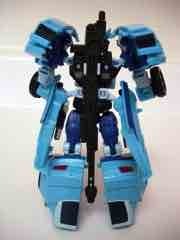 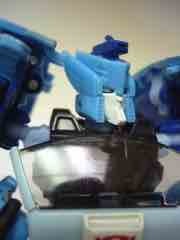 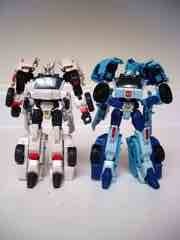 As with Drift, Blurr's articulation is incredibly good. While he can't quite sit, he's designed to assume a number of sniper poses and has multiple joints in each arm to guarantee he will be able to aim in more ways than you probably ever thought a $10-$13 Transformers toy ever could. 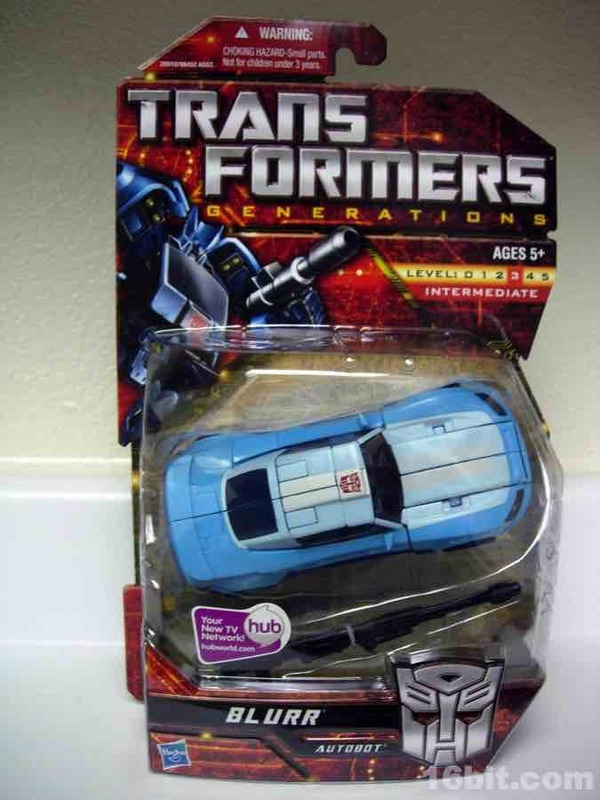 In car mode... well, it's a car. His pistols store in the car doors, his rifle under the drivetrain, and the wheels roll nicely and freely. 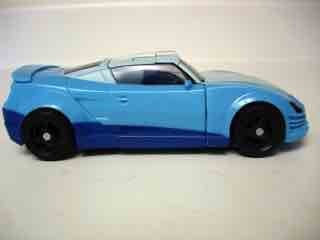 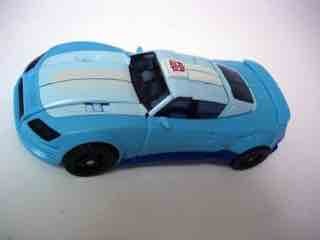 It doesn't do much in car mode, but it did turn out nicely and looks fairly attractive. Be sure to keep an eye on it and keep it clean, as it seems the lighter blue paints may attract dirt and grime over time due to their unique texturing. 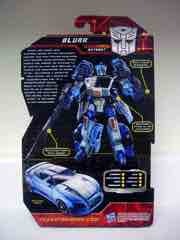 I'd say go get this one-- you won't be sorry! 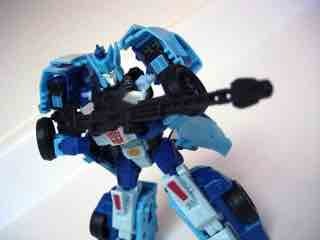 (And get Drift too. They're both good.) 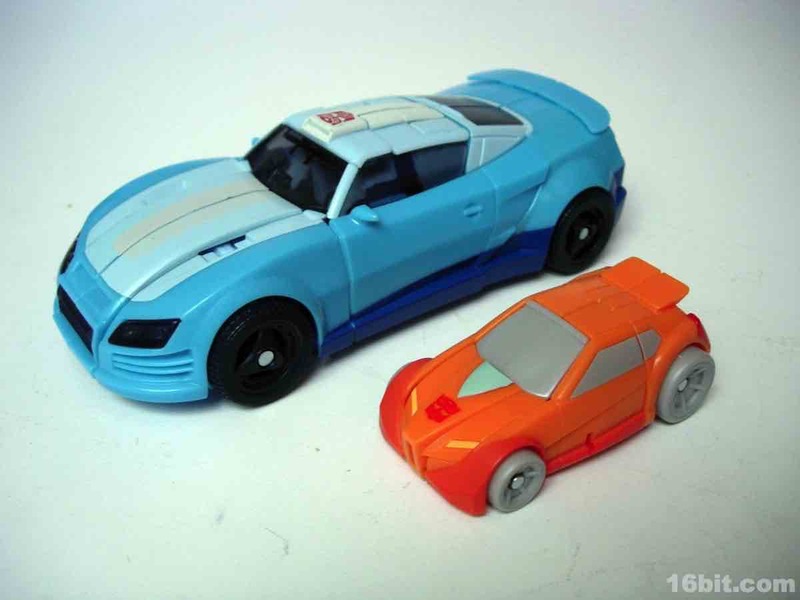 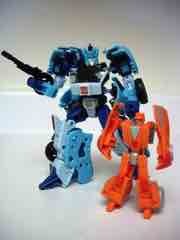 Below, Transformers Universe Wheelie is shown for scale (and fun), and is not included with any release of Blurr to date.